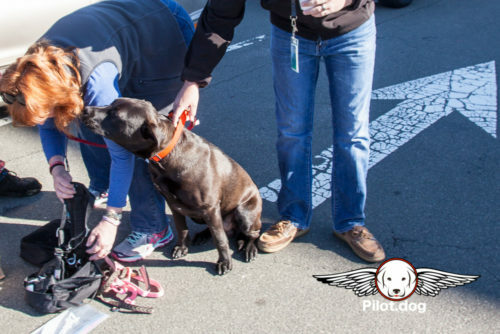 Our good friend Kristen from Wilson County Humane Society contacted us again to see if we could take two dogs up to LaMancha Animal Rescue outside Philadelphia, PA. Kristen and Kim run one of the best rescues in North Carolina. Their dogs are the sweetest most lovable dogs we have come across. Kristen needed Allison, a black and white, eight year old, mix breed that came into the shelter as a stray flown to LaMancha. She was very thin but had been taken care of by the looks of her. 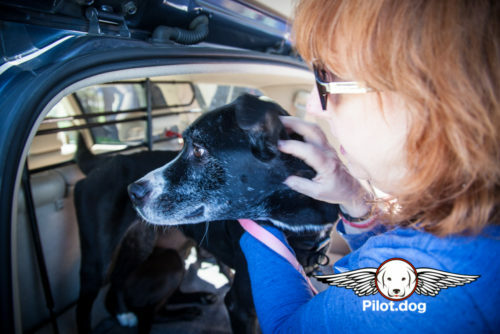 She didn’t have a chip, no collar and nobody came or called the shelter looking for her. She was hours away of being put down. Older dogs don’t last very long in crowded shelters because most people who come in to adopt dogs are looking for puppies or younger ones. Luckily for Allison, LaMancha agreed to take her. There was also Lance an adorable black, lab mix approximately a year old. He definitely came from a good home but without a chip or collar it was impossible to find them. Lance was well trained and at a year old followed commands really well and was one of the most lovable dogs you’ve ever come across. He hadn’t come to the realization yet that he was almost about 50 lbs. and not a lap dog. LaMancha came to his rescue as well. Allison’s foster dad brought Allison and Lance to meet us at our home base at Raleigh-Durham International Airport for a Sunday morning flight to Philadelphia. 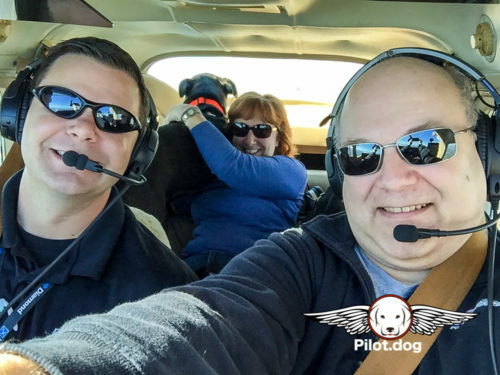 On our flight this day was Patrick Allen, our Co-Pilot. Patrick has gone with us on several dog missions but has been away for the past year working as a commercial pilot and boy are we glad he and his wife are back in the area! We really missed them! 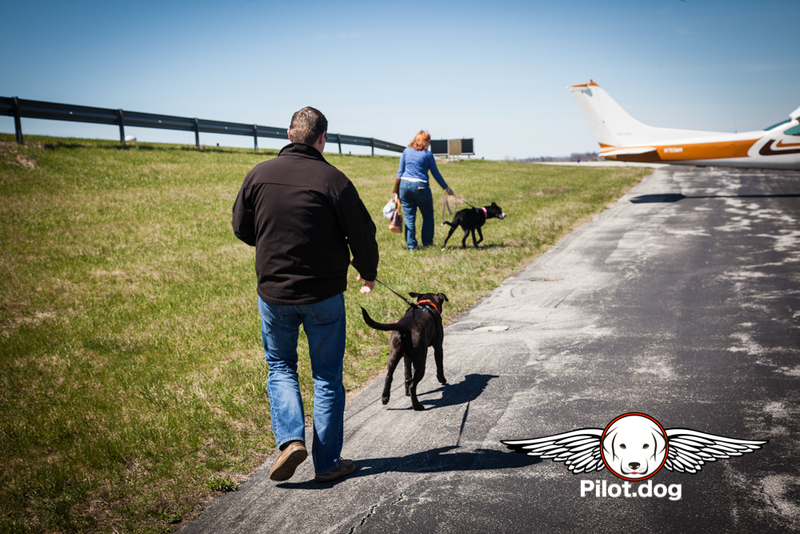 We put the harnesses on the dogs so that they are safe on the ground as well as in flight. 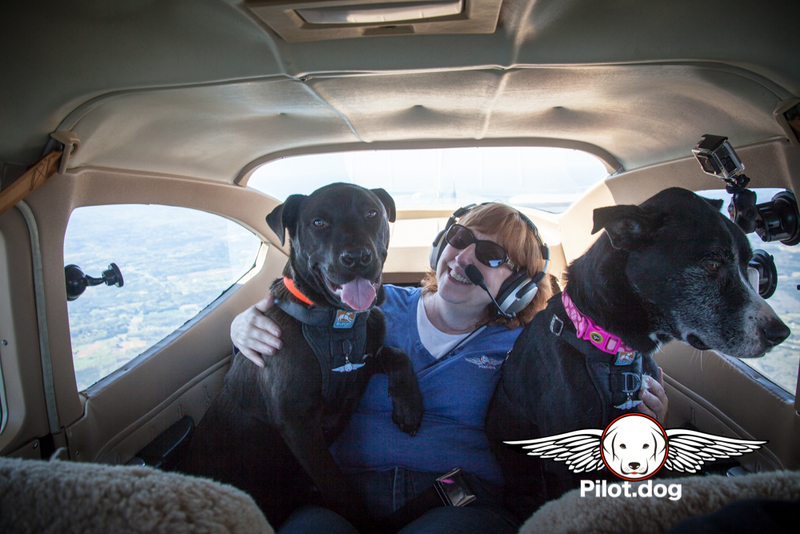 The dogs wanted to kiss and love Pam more than get the harnesses on them. It was a trial but we did it and soon we were loaded up and heading to PA.
Beautiful day for a flight. The sun was shining and the weather was warm. 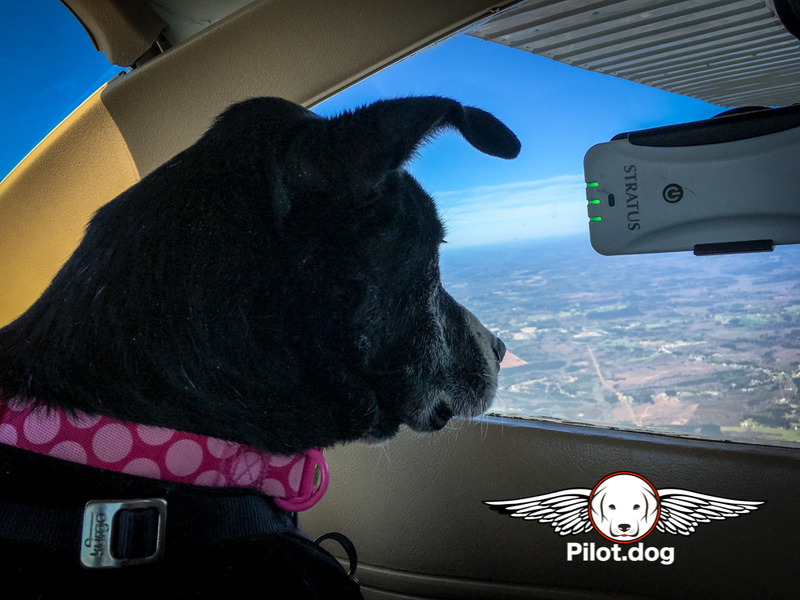 Allison was enthralled by the view from the air. She didn’t want to lay down or sleep. She just kept looking out the window. Lance on the other hand wanted to crawl up on Pam’s lap and sleep. He was certainly a snuggle bunny! Then he decided he wanted to stretch across the back seat so Pam let him. She sat on the floor of the plane while Lance took over her part of the back seat. That gave Allison a chance to turn and look out the other side of the plane. 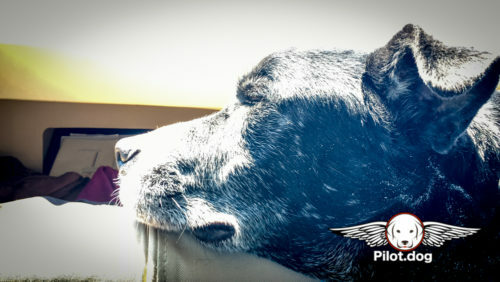 Soon she rested her head on the backseat to take a little nap. 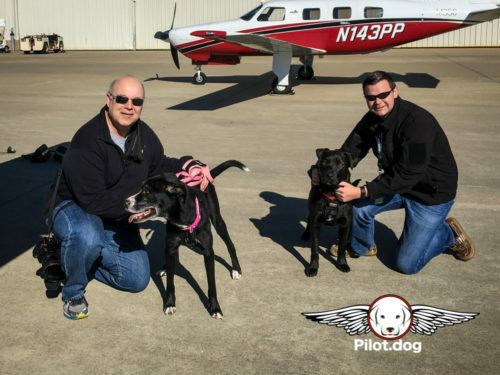 They are both two wonderful dogs and will make awesome additions to some lucky family. We landed at Chester County Airport to meet Dawn and her daughter who would then transport Allison and Lance to LaMancha. It’s always hard to say goodbye to these dogs. You become quite close to them during the hours you spend with them in the back of the plane. You just hope that they love you give them will show them that not all people are bad and to hold on because someone is going to come and get them and love them hopefully for the rest of their lives. Before we headed back to Raleigh we had lunch at the airport cafe and while we were there we received a text from Dawn with pictures of Allison and Lance in a run together. They were settled and waiting for their the fureverhomes.